Goushi has temper issues and is known as a tsundere. He's easily annoyed, especially by Yuta but he never goes extreme to scold him. He likes rock and uses this to influence the genre of some of THRIVE's songs. Goushi does not like to be made fun of and prefers to uphold a certain image for himself, when asked to photo-shoot in cat ears he sees the shoot as foolish and embarrassing. 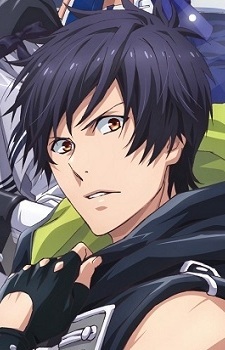 Goushi has a sarcastic humour and is often seen picking on the other members of B-project in this manner. Goushi recently returned to Japan from abroad thus he is fluent in English. When Goushi is riled up or in a temper he like to spend time to himself playing him guitar in order to cool down. He finds it difficult to conform unlike the other THRIVE members but also stands up for his Team Mates when they are being disrespected.